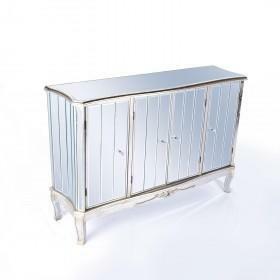 Annabelle venetian mirrored silver sideboard. 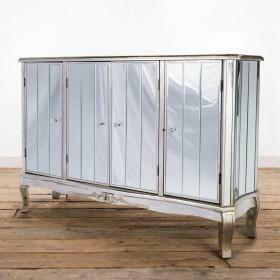 Enhanced by a silver gilt leaf finish and bevelled mirrored glass, this piece is handcrafted from solid wood. 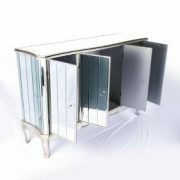 This design is then further enhanced with a silver gilt leaf finish and bevelled mirrored panels. The measurements are; w136 x d40 x h92cm.